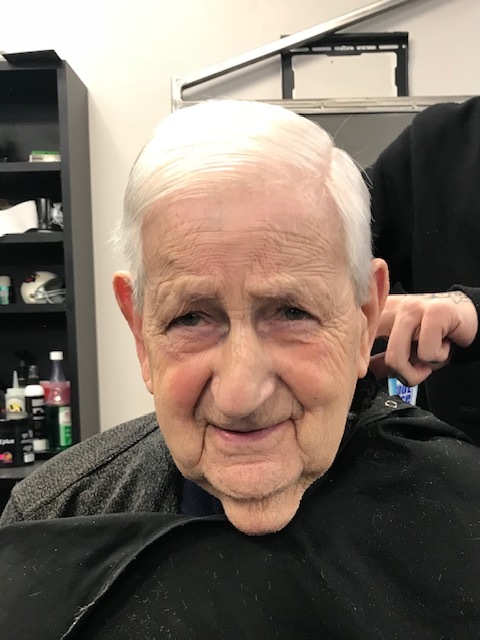 Obituary for ANTHONY D. CASALE | Nardolillo Funeral Home, Inc.
88, of Cranston, passed away on Sunday April 14, 2019 at RI Hospital. He was the beloved husband of Evelyn (Gianquitti) Casale. Born in Providence he was the son of the late John and Amelia (Broccoli) Casale. Anthony was a painter for Casale Painting Company for many years before retiring and was a Korean war Army veteran. Besides his wife he was the devoted father of Valerie Dalton, Paul Casale, Scott Casale and the late Anthony S. Casale; loving grandfather of Paul Casale, Jr., Jacob Casale, Alex Cotoia, Arielle Cotoia, William Dalton, Harrison Dalton and Zachary Dalton; and loving great-grandfather of two. He was the dear brother of Mary Vallenti, Robert Casale and the late Stephen Casale, John Casale, Silvio Casale, Raymond Casale and Elizabeth Vasano. His funeral service will be held on Thursday April 18, 2019 at 10 a.m. in the NARDOLILLO FUNERAL HOME & Crematory 1278 Park Ave. Cranston, followed by Burial in St. Ann Cemetery Cranston. Visiting hours are Wednesday April 17, 2019 from 5 p.m. to 8 p.m. Kindly omit flowers.